Czernay, S. 1987. Spiesshirsche und Pudus. Die Neue Brehm Bücherei 581:1–84. Grubb, P. 2005. 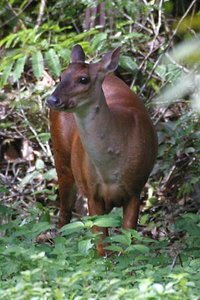 Order Artiodactyla. Pages 637-722 in Mammal Species of the World: A Taxonomic and Geographic Reference. 3rd ed. D. E. Wilson and D. M. Reeder, eds. Johns Hopkins University Press, Baltimore. Reeder , D. M., K. M. Helgen, and D. E. Wilson. 2007. 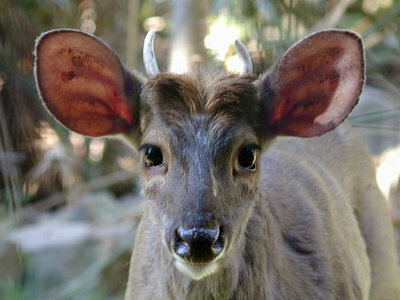 Global Trends and Biases in New Mammal Species Discoveries. Occasional Papers, Museum of Texas Tech University 269:1-36. Page: Tree of Life Mazama. Brockets. The TEXT of this page is licensed under the Creative Commons Attribution-NonCommercial License - Version 3.0. Note that images and other media featured on this page are each governed by their own license, and they may or may not be available for reuse. Click on an image or a media link to access the media data window, which provides the relevant licensing information. For the general terms and conditions of ToL material reuse and redistribution, please see the Tree of Life Copyright Policies.